As our population burgeons, quality children’s healthcare is becoming an area of critical importance. Do you have the passion and drive to help us take child healthcare to the next level? 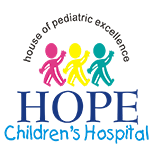 Whether you are a physician, surgeon, nurse, salesperson or other administrative staff member, if you are motivated to work at a world class children’s hospital, there is Hope. We are always on the lookout for smart, passionate people with the right attitude.